The Digital Center of Excellence runs digital campaigns for global advertisers over 50+ markets around in the world. More than 50 professionals drive branding and performance KPI’s over several channels like social advertising and programmatic. We have 15 different nationalities in our teams and work closely with teams of Google, Facebook and Amazon to learn the most of those technologies. A programmatic trader at the Center of Excellence is or will be trained to be an absolute frontrunner in the world of digital trading, with a focus on social advertising and programmatic media. He or she will have the opportunity to learn more about data driven advertising, real time bidding, and data visualisation. You will learn to work with all major global technologies like DV360, GA360, MediaMath, Adform, The TradeDesk, Facebook Bidmanager and many more. It’s an unique role where you will be responsible for complete digital media activation in multiple markets and learn more about the data driven media landscape around the globe. We are looking for international talents who are curious by nature, a team player, like to understand more about the technologies behind advertising and prefer data driven decision making. Intermediary experience in Real Time Bidding using Demand Side Platform technology. 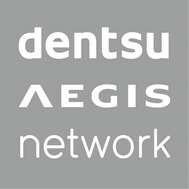 Dentsu Aegis Network is a communication network with offices in over a 100 countries and the parent of eight media and communication agencies; the full service agencies Carat and Vizeum, the digital agencies iProspect, Isobar, Social Embassy and out of home specialist Posterscope. Recently Dentsu Aegis landed her own data unit, DAN DNA. Dentsu Aegis Network is based in Amsterdam and has more than 320 employees.